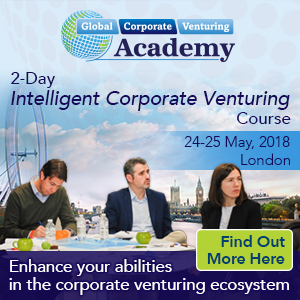 Join 400+ business leaders from the corporate venturing and wider high growth business ecosystem for the two-day 2018 GCV Symposium covering innovation and strategy. Now in its eighth year, the GCV Symposium has experienced exponential growth, attracting an enviable list of speakers and international senior delegates. This year we’re moving a short distance along the Thames to Westminster, for what will be another must-attend occasion in London for professionals in and around the corporate venturing ecosystem. The Future Planet Awards – young companies present their impactful, world-changing businesses to a panel of judges, last year headed by world-renowned architect Lord Norman Foster. There will again be a huge amount of investment power located in one room. There will be corporations managing more than $100 billion in venture assets, for parents with aggregate revenues of at least $4 trillion. This year’s theme is ‘The Shoulders of Giants’, and will focus on how start-ups and entrepreneurs can benefit from being lifted to the heights by their corporate investors. In return, the giants benefit from increased exposure to emerging technologies, the ability to create new ecosystems and to connect their startups to other parts of their own corporations for commercial arrangements and other collaborations. The 2017 GCV Symposium gathered together 400+ senior executives, innovators and inventors over two days to discuss "the tip of the innovation spear" in corporate venturing. For the third time we also hosted the Global University Venturing: Fusion event on day two of the GCV Symposium. With 100 university venturing experts attending, our sister publication's fifth annual event fused together university venturing with the corporate venturing industry, for unique discussion on how to enhance innovation through collaboration. GUV: Fusion will once again return on day two of the 2018 event.